Time to get to the car. 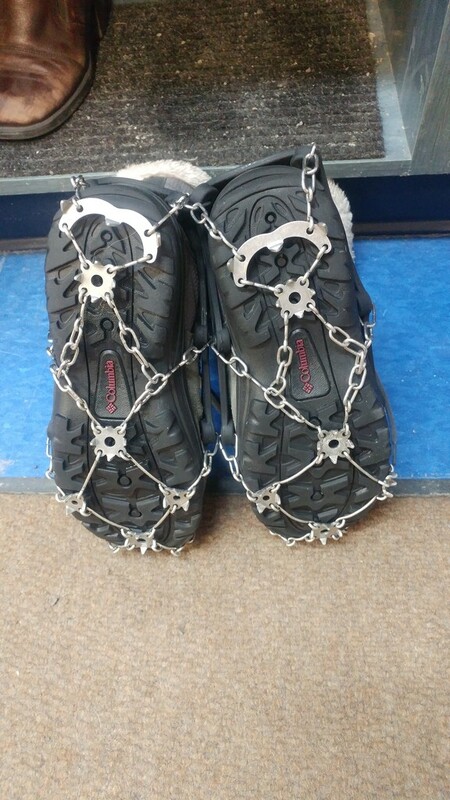 These chains save us from breaking our little necks on the ice. Very nice! We and are cars lack things like this, so we just slip and slide around the few days a year that it's icy. These look a good idea, but I bet I'd still fall over! These look very familiar! No hiking around here in the winter unless one is well-equipped with cleats.